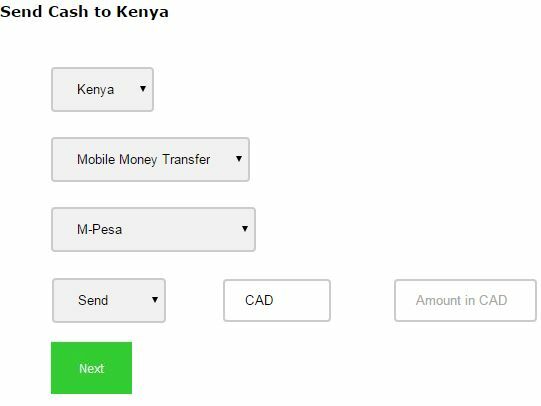 You can specify the amount by specifying the KES amount that the recipient will Recieve or the CAD amount you wish to Send. 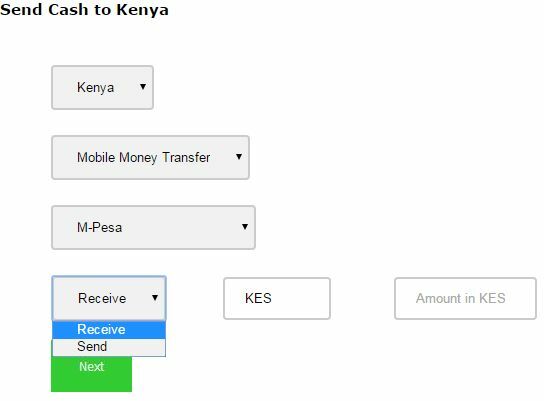 The default is set to Receive so you can input a KES amount in the amount field. 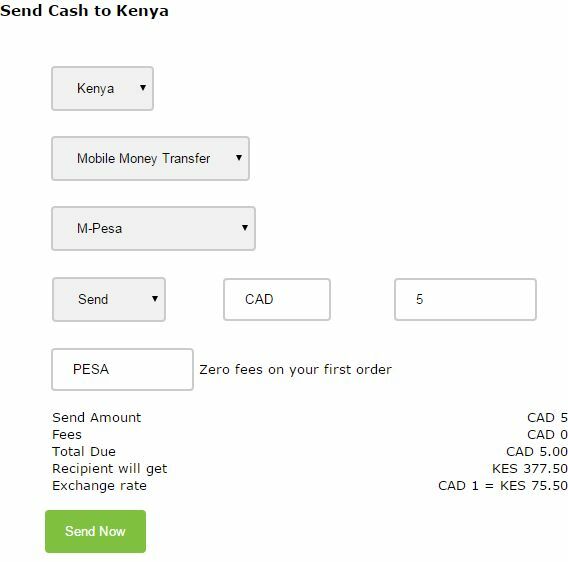 Once you have specified the amount the system will calculate the charges and display the total amount that you need to pay for your order. 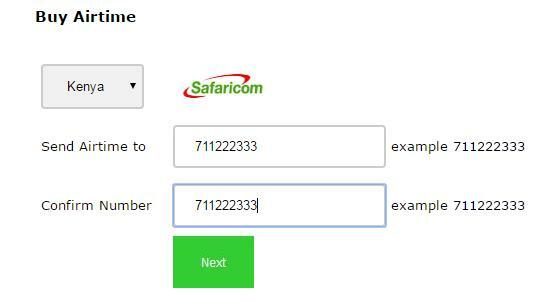 If you are sending to an existing recipient, select their name from the dropdown list and the system will autofill the details for you. 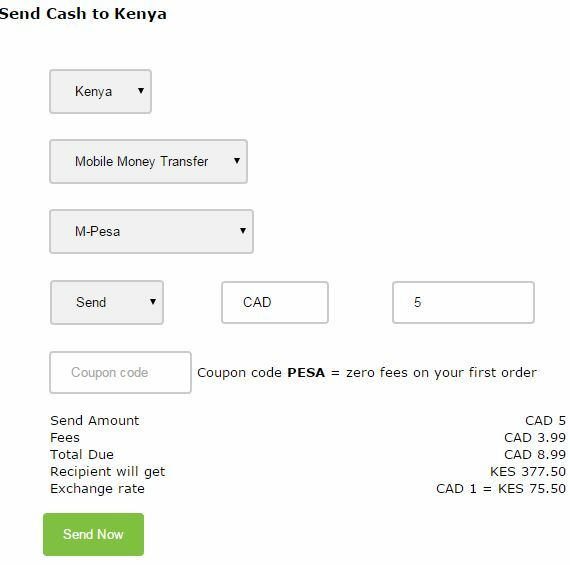 If you selected Instant Bank Transfer, you will be redirected to INTERAC® Online payment processing page to log on to your banking institution website and make your payment. 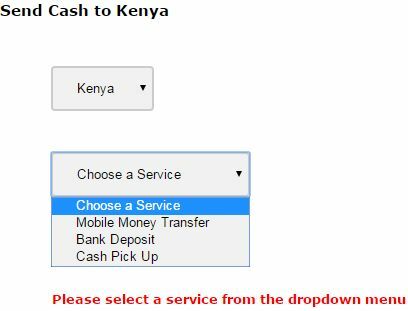 If this is the first time you are making an online payment to KenyaPesa you may get the message below. Please make sure you call the number provided and provide the reference number. 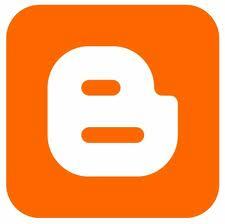 It is one-time step added step by your banking institution to protect your funds. 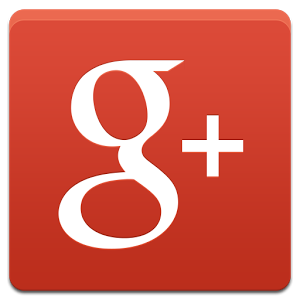 You will receive an email notification when we receive the payment and when the funds are delivered to the recipient. 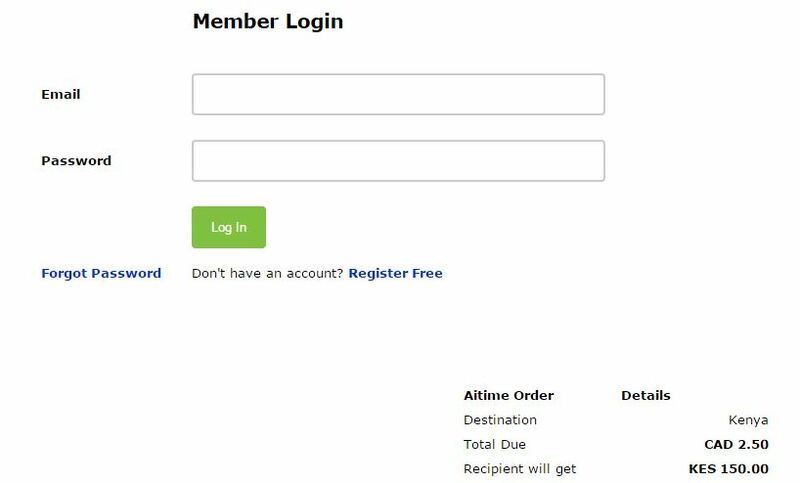 Click Next This will take to you banking institution so that you can log in to you bank account and authorize payment. 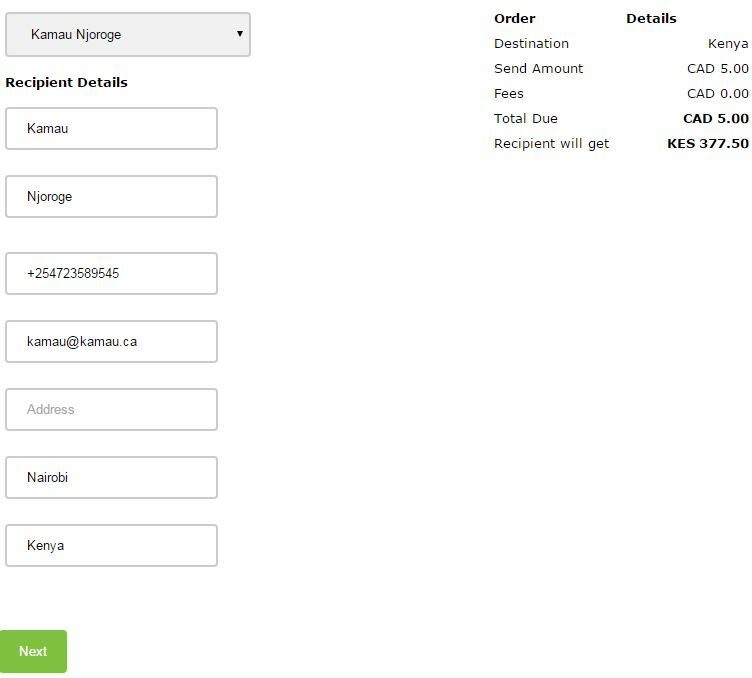 Once you have completed paying for your order you will be redirected back to KenyaPesa and you can view opr print you receipt. 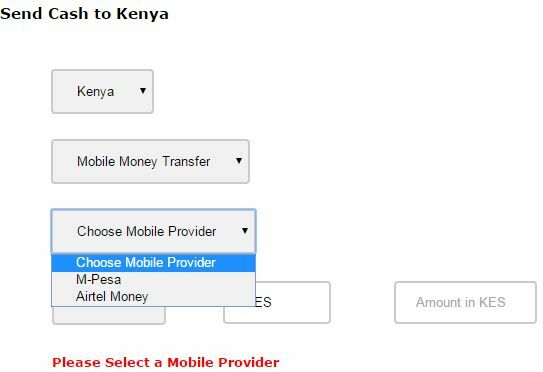 The airtime top up will be sent to the recipient's mobile phone as soon as we recieve the payment. 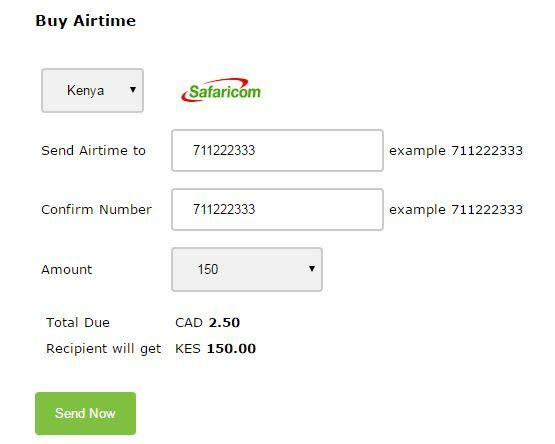 You will receive email notification once the payment is received and when the airtime top up is delivered.